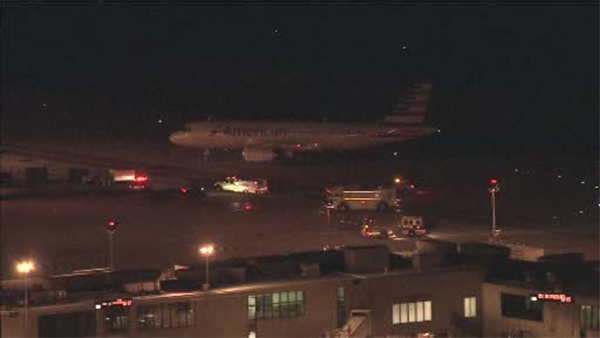 PHILADELPHIA -- Officials say an American Airlines flight landed safely at Philadelphia International Airport Friday night after crews declared an emergency. American Airlines spokesman Josh Freed says apparently some unburned fuel burned off as the plane took off about 9 p.m. He says that is not uncommon and stressed that "no part of the airplane was ever on fire" and the engine never lost power. Freed says passengers were put on another flight. The plane was carrying 133 passengers and five crew members.